Ideally I would be one of those girls who went for a facial at a fancy spa every fortnight...but in reality I'm a poor student and I have to take care of myself! 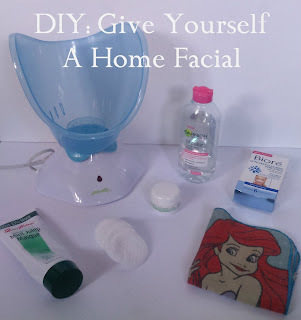 Due to this, I have developed my own little at-home facial routine that I regularly do before bed. It always makes my skin much clearer and brighter by the morning. 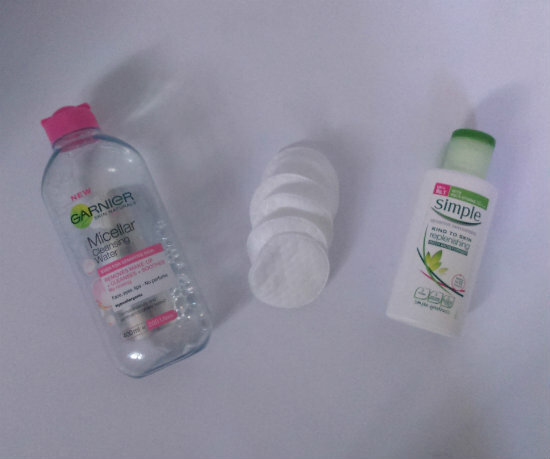 Before anything I clean my face with micellar water and cotton wool and apply a light layer of moisturiser. After letting it heat up for a few mins, I place my face in this steamer and let it open up my pores. I usually listen to music and as a general rule I keep my face in the steam for the length of two songs! 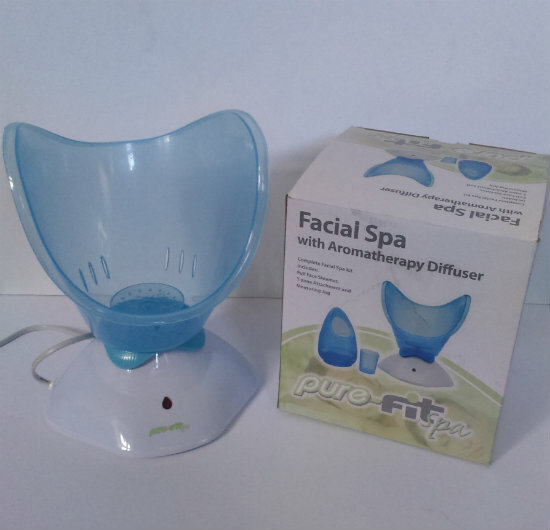 I bought this facial steamer from Amazon and although it was only cheap, I'm very pleased with it (get it here). It heats up quickly, creates a lot of steam and is very easy to use. However, do be careful with it as it leaks if you move it once the water is in and I have been burnt by water from it before, if you use if on a table and don't move it though you'll be fine. As soon as I take my face out of the steamer I get to work on these two. Using a flannel I wet my nose more with warm water and then apply a Biore nose strip (tip: open the strip and get it ready before the facial as it's really tricky to open with wet fingers!). I press it down firmly so that it's really secure. I then dab the rest of my face dry with a clean towel and apply a layer of Queen Helene Mint Julep Masque (except on my nose obviously!). I leave the nose strip and masque on for about 20 minutes (they should both be dry a good few minutes before you take them off). I then gently pull off the nose strip and must admit I get a creepy pleasure at looking at all the gunk that it brings out of my pores! I then wash off the masque with warm water and a clean flannel (preferably a Disney Princess one obvs). I then dry my face and apply moisturiser again. Once my moisturiser is completely dry, I apply Mario Badescu Drying Cream to any blemishes or clogged pores to give them an extra cleanse overnight. 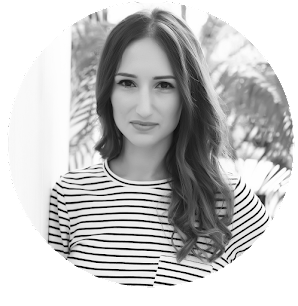 Thanks for reading - I'd love to know if you try my facial and how you get on! I really recommend them both! Cool! Sounds so simple. I must try this soon! Although I have stopped using nose strips I just don't think they do anything for me. The miscellar water is my favourite and such a bargain price. I did treat myself to the Liz Earle Cleansing polish which I only use when I'm doing a home facial it really helps clear deep inside the skin and brightens and tones. Great post! How funny! My mum is a huge fan of the Liz Earl cleanser, I'll have to give it a go now you've suggested it too! Sounds simple !! I should try ! I need those biore strips in my life ! 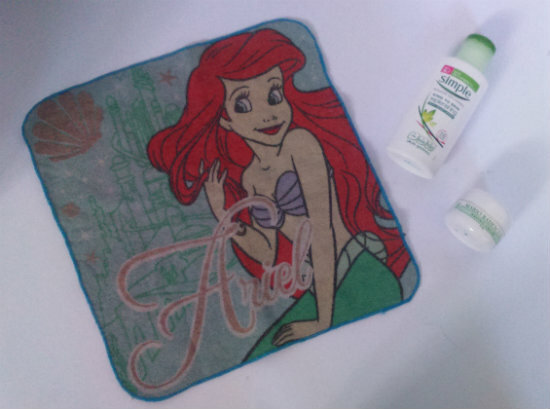 Love the Ariel wash cloth! Super cute! Home facial sounds like a pampering treat!! 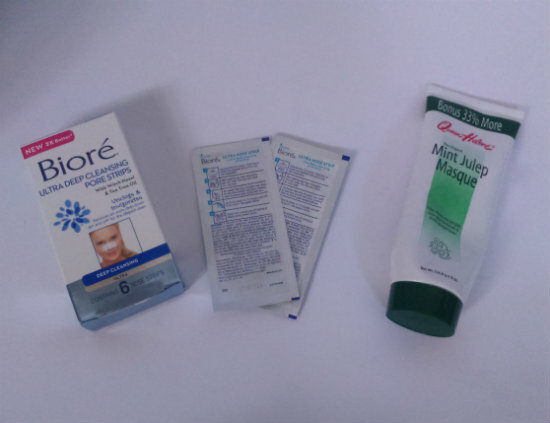 However nose strips are not for me as I have sensitive skin and they make me itchy so badly after peeling them out :( Thanks for sharing your routine with us and have a fab week hun! You've got to pamper yourself! I've had the itchiness before when I've used them too often, I agree it's not nice! Wow, I've never seen a fascial steamer before, I definitely need to get one! Thanks so much for sharing, this post was definitely helpful! I hope you're having a great start to your week so far, girlie! Thanks! Hope you have a great week too! Great tips! I definitely want to try this! Thanks for sharing!